Second photo thread of my recent trip to Hong Kong. 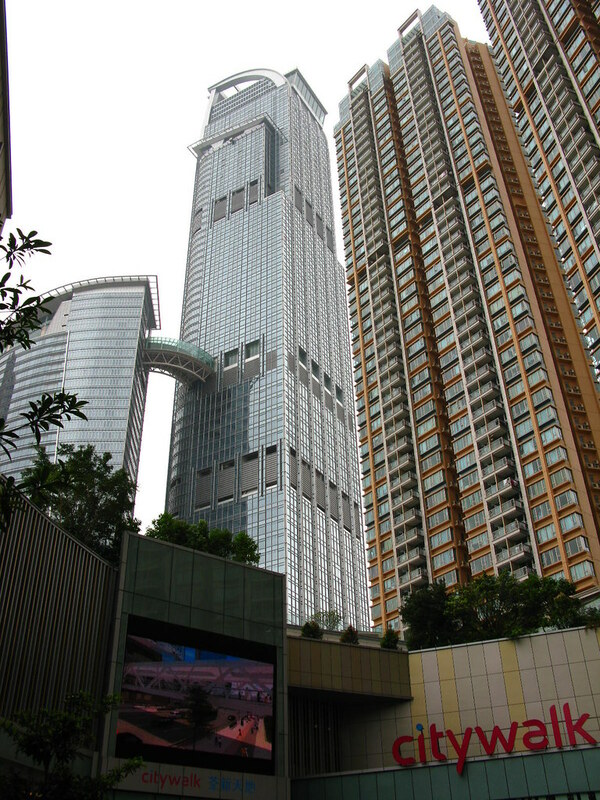 The Nina Tower (318m, built 2008) is the 5th tallest building in Hong Kong. 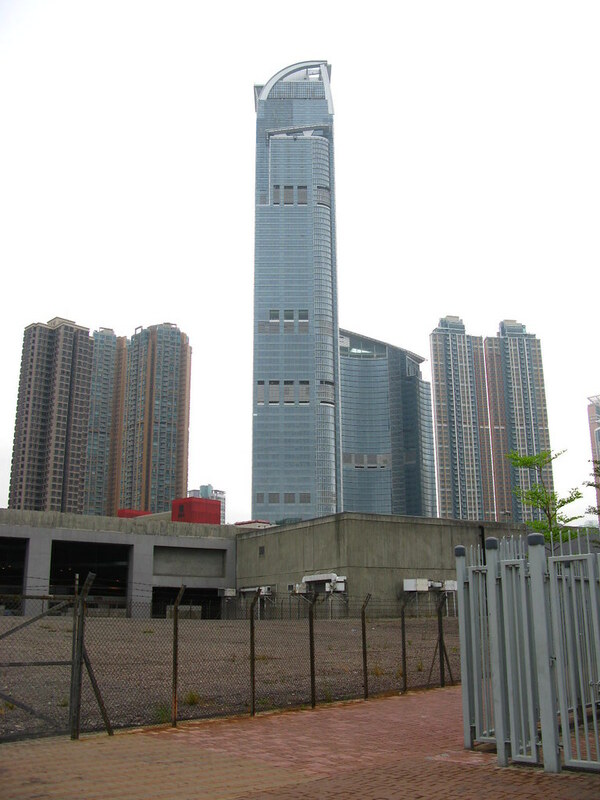 It is located in Tsuen Wan, New Territories, away from the famous skyline along Victoria Harbour (but still in a prominent location - being located near the route between the city and the Airport, it is the first supertall that visitors see when heading into the city from the Airport). 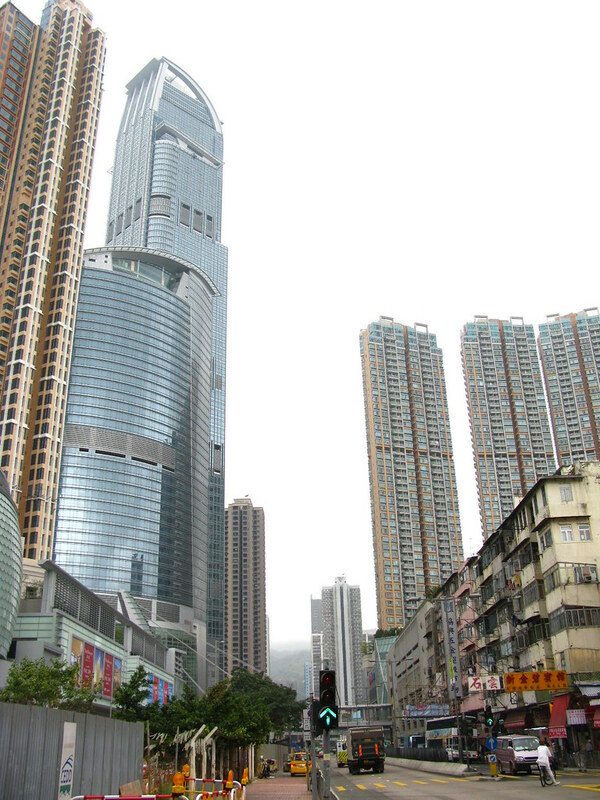 It is part of a recent trend in Hong Kong of putting large office towers away from traditional CBDs in attempts to create new business districts. 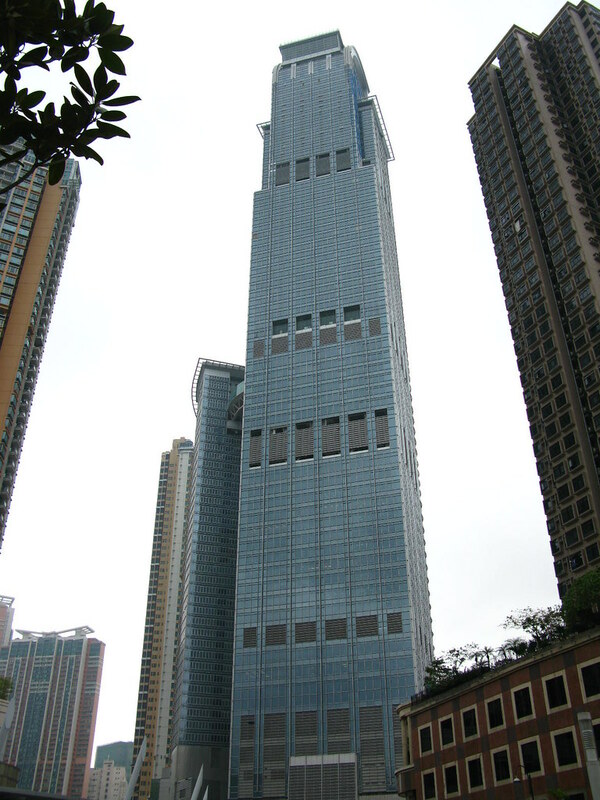 Nina Tower is named after the eccentric Hong Kong female tycoon Nina Wang. 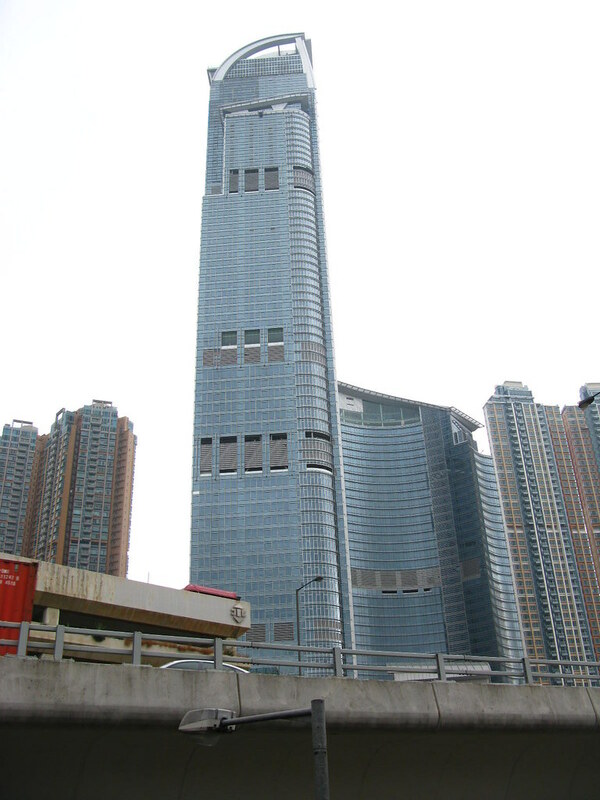 Originally Nina Tower was proposed as the world's tallest skyscraper, a 518-m spire clad in gold glass. 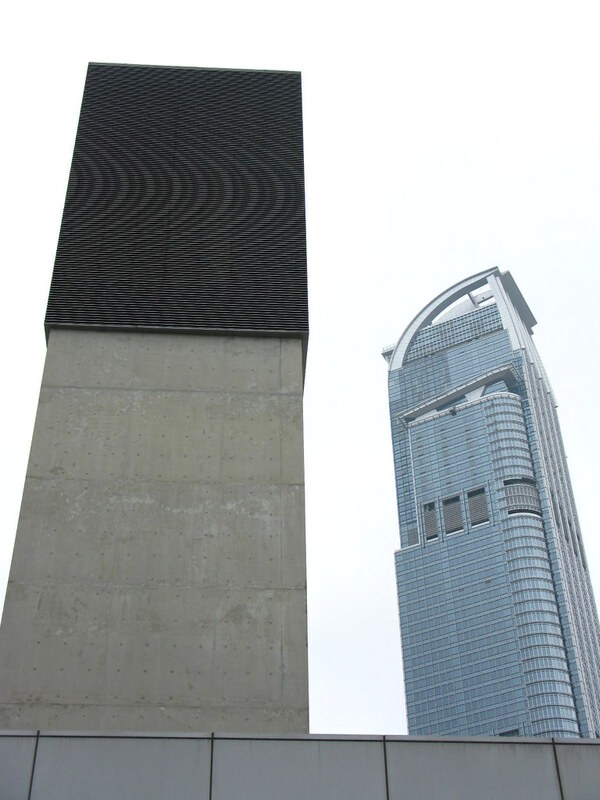 However it was in the flight path to the new Airport, so the project was redesigned with two towers. 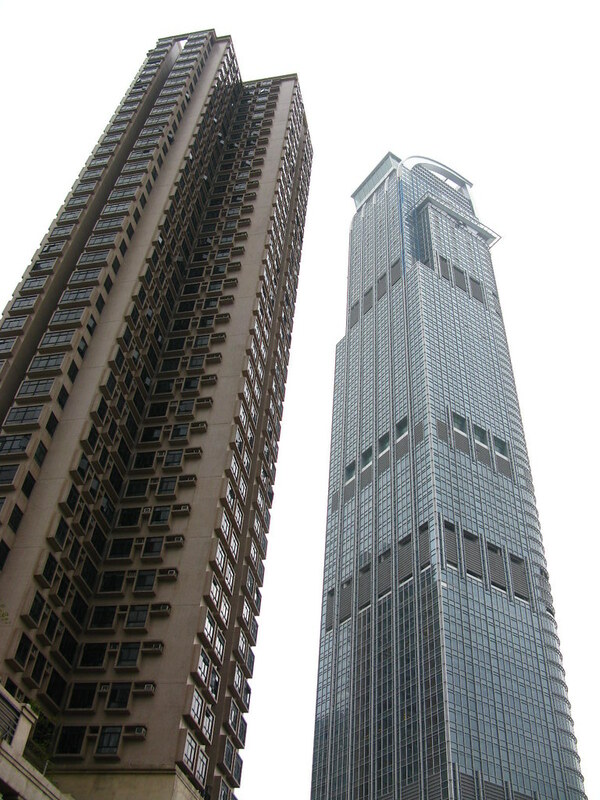 The taller tower is named Teddy Tower, after Nina's husband who was kidnapped and now disappeared, while the shorter tower is named Nina Tower. 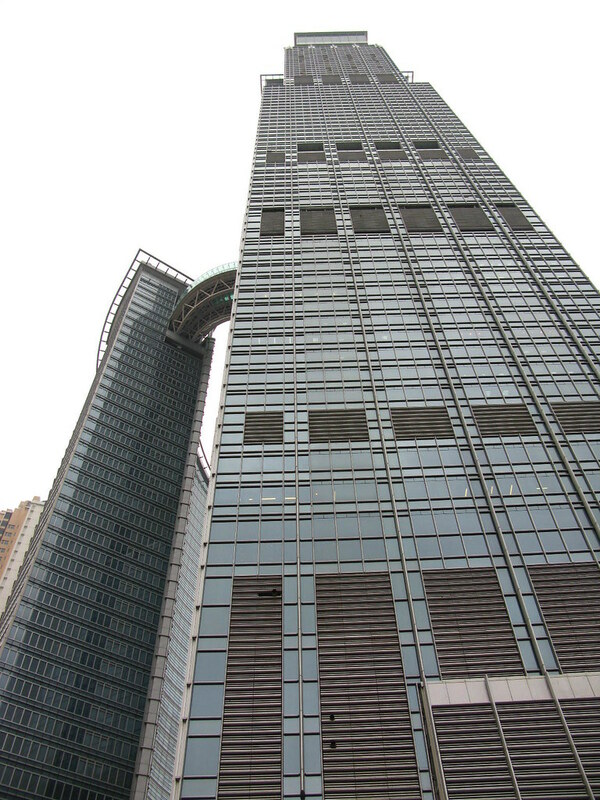 A sky bridge linking the two towers represents Nina's love for Teddy. 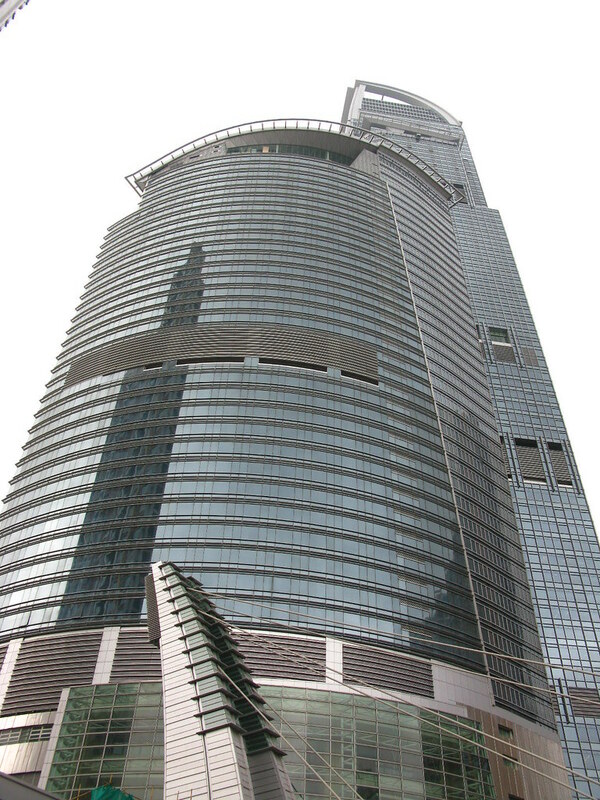 Nina Tower and the top floors of Teddy Tower (connected by the sky bridge) are occupied by the Hong Kong L'Hotel, while offices take up the lower part of Teddy Tower. 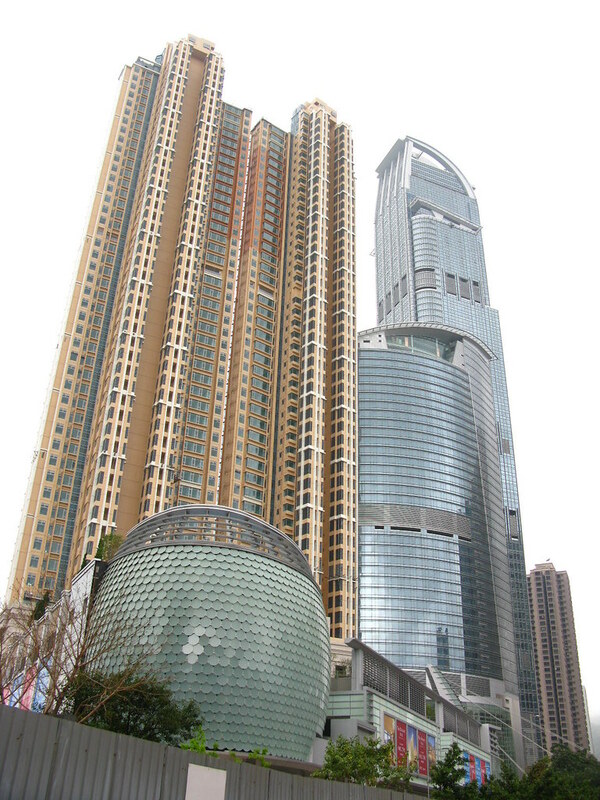 There is a maze-like, deserted shopping mall at the base of the tower. I tried to access the sky bridge via elevator from the hotel lobby, but seeing that the elevators are guarded, I decided to back out. 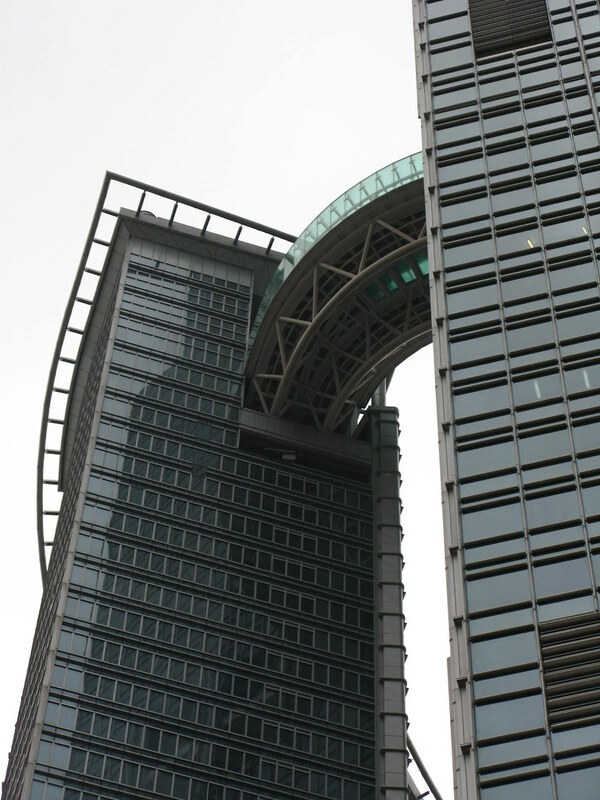 You can check out some sky bridge photos and views on Wikipedia. 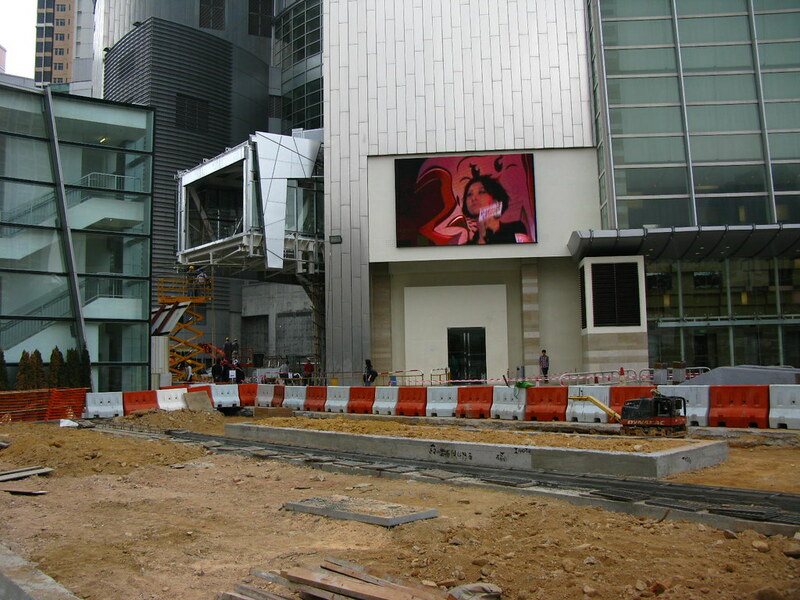 Landscaping around the tower... still a work in progress. What an ugly building! Don't like it at all. eww ... Is that class on the building or painted concrete? I really doubt they cheeped out on the glass but whatever they used sure seems to give that impression. Many thanks for the posts and pics.